A beautiful day, a beautiful path through a field. 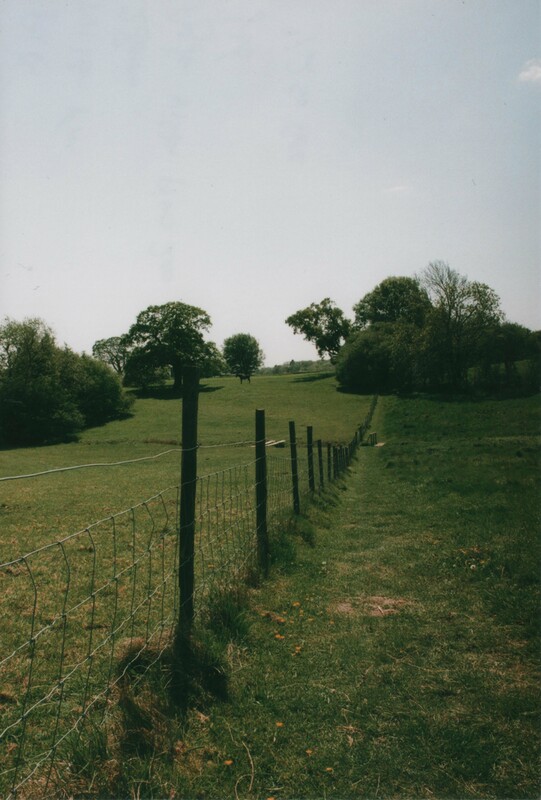 Fence leading into the distance, cutting across the image and leding down to the bridge over the stream and then off into the trees and woodland beyond. The lone horse stood in the background I think adds to this image. Taken on my Olympus Nikon FM with 28mm lens, Agfa Vista Plus 200 ISO film, f16 1/250th sec.